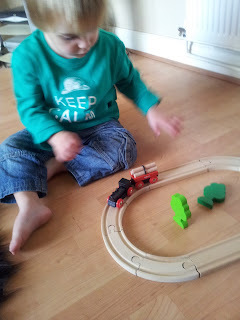 We were very fortunate to be selected to receive a Brio trainset from the lovely people at Wooden Toy Shop. Much excitement when the postman arrived today with a box! I love wooden toys and find them far superior to plastic, they have a nicer handfeel, are far more resilient, and have a nicer look about them. 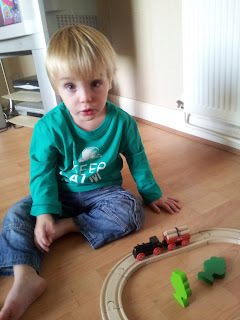 I've had my eye on a Brio trainset for a while, but was unsure whether Joseph was quite ready for one. Well, I finally managed to convince him to stop riding the box around the living room and open it. Inside we found a train, carriage, a log attachment, two trees and some track pieces, that forms into a nice oval. The great thing is, we can now add to it, and I am sure that Wooden Toy Shop will be hearing from Father Christmas before too long! What I love about it is the pieces are perfect for tiny hands. As soon as we had got the pieces out ready, Joseph was playing with it, and telling little stories, clearly ready for a trainset. Being a conservationist, as he grows I can tell him the story about sustainablility and collecting wood from forests and replanting it to make sure we have plenty of trees, something that Brio themselves also take seriously. Joseph really loves his new trainset and we would thoroughly recommend it to any little boy or girl starting their trainset collection. 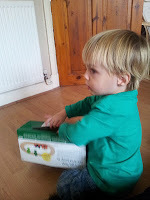 Thank you again to Wooden Toy Shop who sent us this toy to review. Wow how did you manage to get to review toys! What a fab job Joseph has! We have a wooden train set from *cough*swedishsuperstore*cough* and though both girls love it, it's especially been Una's favourite - it's a great open ended toy, and we use it in conjunction with wooden blocks to build towns and forests and villages. The Brio ones are quite exxy in Oz, but the design is really beautiful. It's been a good toy to add to over the years too, which appeals to me in trying to keep toys to a minimum. Sorry for ignorance, but have been really tempted by this train set for my boys- how old was Joseph when you reviewed this? 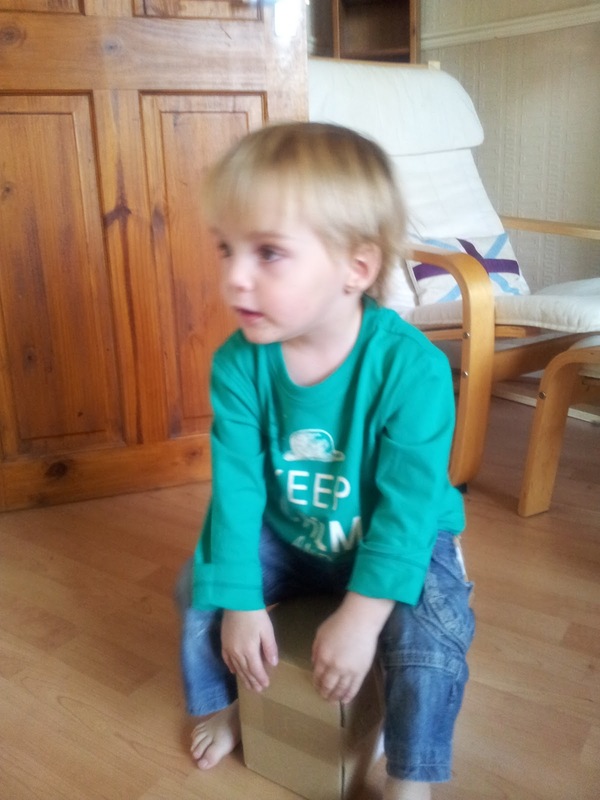 He was 2 years 4 months...and no I don't remember I worked it out by the posting date! He really loves it still!